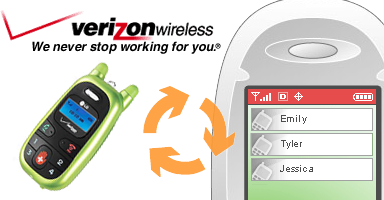 Last week Verizon Wireless announced a brand new service, entitled “Chaperone”, which is intended to help parents keep track of their children. The new “chaperone” service works by tracking the child’s phone by using the GPS technologies, which the majority of new phones have. This service goes a step further by plotting their child’s location on a real-time map which is accessible either from Verizon’s website or from the parent’s phone. Another neat feature called Child Zone, permits parents to set boundaries of where their child should be at different times of the day. If their child were to leave the set boundaries, an alert would be issued to the parent’s phone. The tracking service will work with phones such as the LG Migo, which is meant for young children, however will also work with many standard phones such as the Motorola RAZR. The only drawback with the service is the price. The basic locating services will cost $9.99/phone and the Child Zone services will cost $19.99. The service would definitely be more popular if plans were cheaper than they currently are.